If you're a fern lover then perhaps this book won't seem so wacky to you, but I'm not much in to ferns so it seems a little wacky for me. But I suppose a book on the Victorian fern craze isn't that surprising, considering the "fern fever' that swept through Britain between 1837 and 1914. 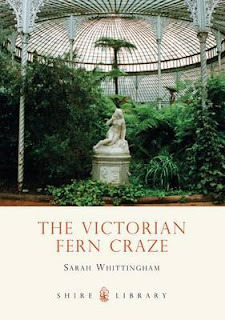 This book looks at how the craze developed, how the ferns were incorporated into garden and home and the spread of ferns through Victorian material and visual culture.